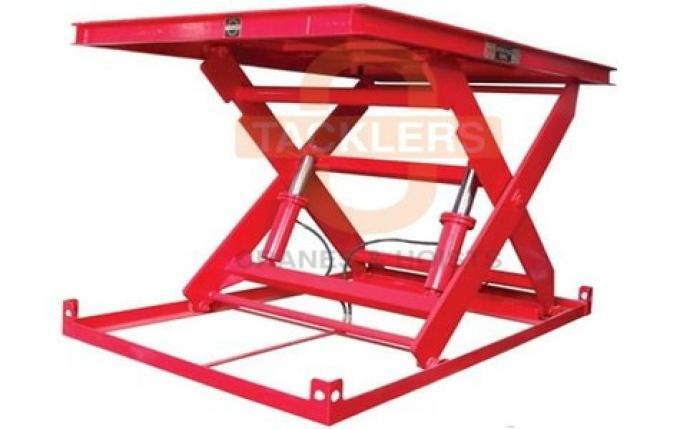 TACKLERS Single Scissor Lift Tables comes with short platform high vertical travel. 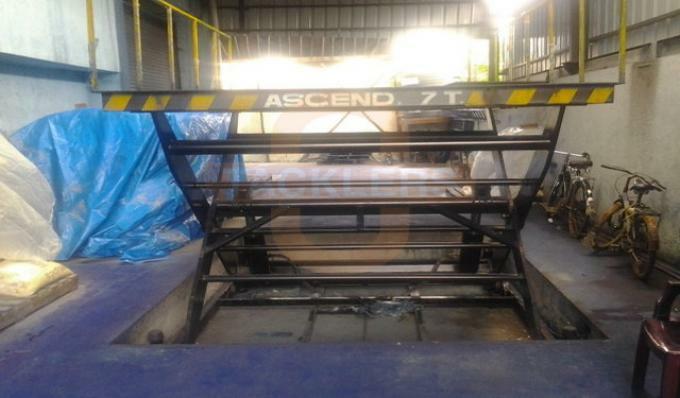 These Hydraulic Scissor Lift Platforms are simple and universal devices to bridge for height differences, to move goods between different levels. 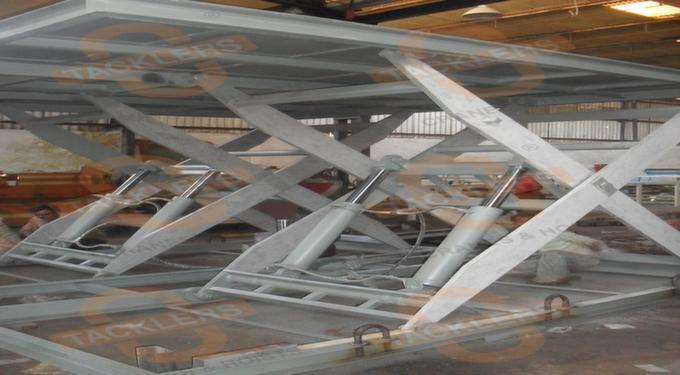 Hydraulic Single Scissor Lift tables are quite effective as they saves labor, eliminates injury & increases production levels and employee safety on the loading dock and throughout the facility. Power options include Manual Hydraulic Hand Pump, Electric 110V; 3 Phase; with a choice of 110V push-button or foot-pedal control. Fixed type or Mobile type tables are available. 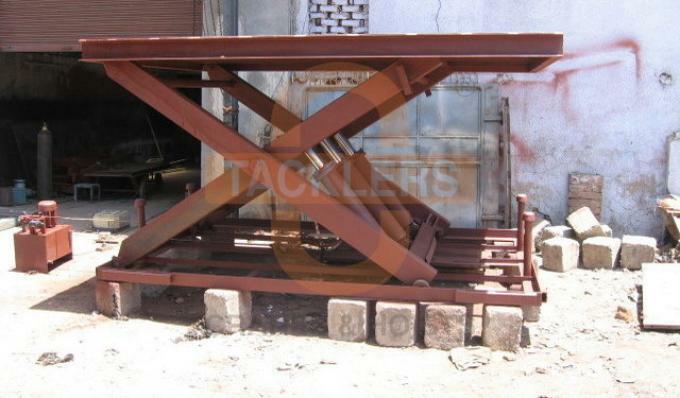 Safety unloads pickup trucks, cars, vans and irregular semi trucks and trailers quickly and efficiently. 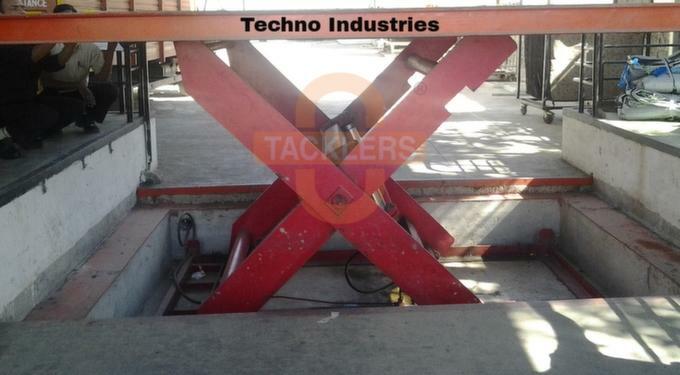 Easy operation with push-button turns loading dock into one-man operation. 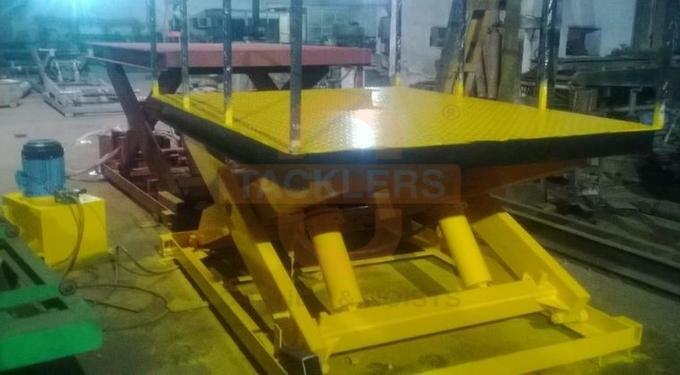 Designed for flush-with-floor or in-pit installation. 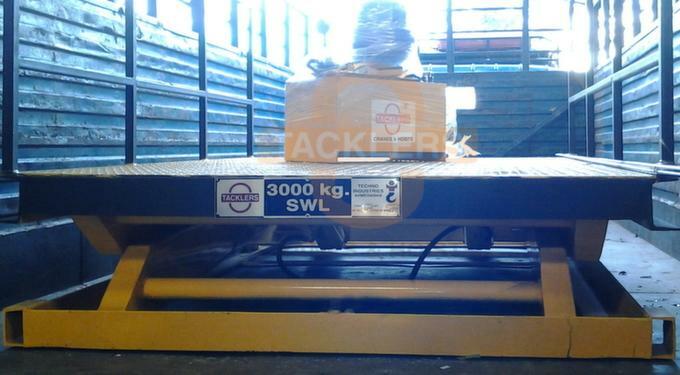 Allows easy access to forklift or pallet truck then raises to desired loading height.